There are a good many ways to be a good neighbor, from keeping the noise down to keeping a nice lawn. But hosting a summer block party can be a great way to bring all of your neighbors together for a great time, and fall in their good graces. 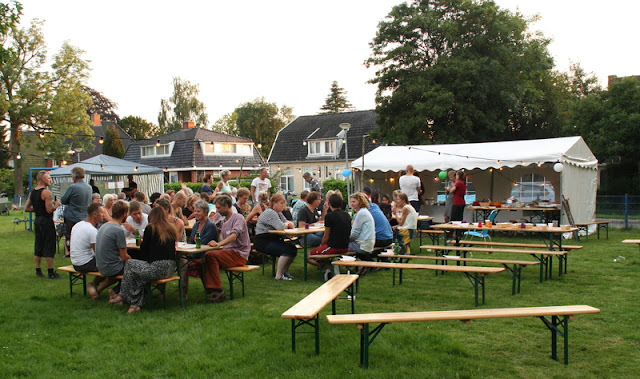 You might be interested in planning a block party, but you could be a bit unsure of how to get started. These are a few tips that can help you throw the perfect summer block party for you and all of your neighbors. First and foremost, it's important to focus on the safety of all of the guests who choose to attend the block party. After all, if someone happens to be injured on your property during your party, then you could be held liable for their medical expenses and injuries. Putting up barriers or talking to local law enforcement about shutting down traffic on the streets where the party will be held is an excellent way to help prevent vehicle and pedestrian accidents. For those who are willing, you can consider hiring security guards for the event; then, you will have professionals on hand who can help ensure that everything stays safe and under control. By taking these safety precautions, you can help ensure that everyone is safe and can focus on having a good time. It's going to be hard for you to try to plan a great block party on your own. Plus, you will not be able to enjoy the event if you have to worry about doing all of the planning without any help. Ask your neighbors if they would be willing to help with planning the party. This can take some of the pressure off of you. Plus, if everyone pitches in, they can all give ideas that can help make the block party great. The date and time for your party will make a difference. Choose a weekend day when more people will probably want to attend. Also, you may want to choose an early time of day; after all, some of the people in your neighborhood -- particularly those who have children -- may not want to be out too late. Plus, you'll probably wish for the party -- and the noise -- to wind down early enough in the day so that the neighbors who don't want to participate will not be bothered. Of course, those who come to the block party are probably going to want to be able to get a good meal. Consider hosting a BBQ and grilling out hot dogs, hamburgers, and other tasty foods that are affordable to make but that everyone will enjoy. Alternatively, you can consider asking everyone to bring along a dish. A potluck-style block party can be a good way for everyone to share their favorite foods, and it can help with keeping costs down, too. Additionally, you will want to make sure that no one is bored while they're at the block party. Playing music, coming up with games and providing things for the kids to do are critical if you want for everyone to have a good time. Consider getting a moonbounce, or perhaps a cotton candy machine to keep them entertained. Follow these tips, and you can plan the perfect summer block party for you and all of your neighbors. Make sure to account for any possible common party fails or disasters when planning. Then, you can all have a great time enjoying one another's company and the warmer weather. Party favors are an excellent way to thank your guests and to add a personalized touch to any event. There are so many different ways to do party favors these days that your imagination is the limit. Here are some ideas to get you started. Personal Touch When thinking of favors for your next party, consider providing guests with items personalized for the occasion. You can customize any candy bag or candy wrapper - while kids won't turn down a bag of treats if it's presented in a boring lunch sack, it would add an extra touch in taking the time to add special packaging and personalized wrapping. This will help create a memorable experience and make even a few small treats and toys feel like a grand prize. When personalizing, you merely need to pick out something you like, add a saying, date, or name and ta-da! You'll have a unique piece just for your party. 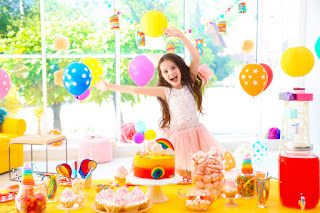 Summer birthday parties are easier to plan and execute than winter parties, both by kids and their parents. In the summer, the kids can be outdoors so that’s usually where the mess and the noise stay, which makes it easier to clean up also, and the kids get to use the entire yard to run off their never ending energy. Even though the summer sun allows for a little more flexibility, that doesn’t mean a winter party can’t be just as fun, for kids and parents. You may be wondering where to find the best winter party ideas out there? 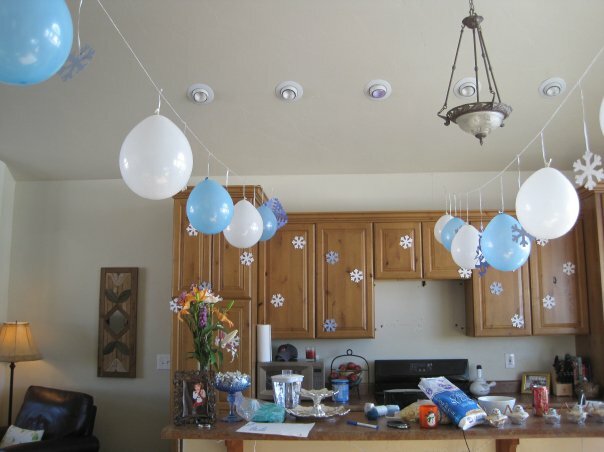 If you’re looking for some craft ideas to get the kids excited about their birthday in the colder months, look no further. It’s all right here. These ideas are not just for the kids, even the parents can get involved and feel like kids again!